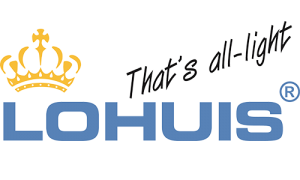 Lohuis Lighting & Energy is al 45 years active enterprising in the lamp industry. From what 15 years in LED lighting. Lohuis Lighting & Energy strives for a better world for you and our (klein)children. Our mission is to use innovation and sustainability within companies accelerated. Companies where possible without private investment get the opportunity to show to Corporate Social Responsibility and immediately benefit from cost savings on energy. We offer not only direct sales therefore two marketing concepts. Pay as you Save – Lohuis Lighting & Energy provides modern LED lighting without having to invest. You pay Lohuis Lighting & Energy investment return calculated with the difference between what you're used to paying your energy and what you use now by using our LED lighting. Our national operating 60 Advisors receive monthly training to advise how to save you up to date on your energy consumption and costs. We work together with a number of strategic partners; sales professional in the field of energy as ECNed, installation and energy saving products suppliers like British Energy Saving Technologies and Best Technea. Our professional experts and cooperation partners can no matter the size of your company, sound advice on how to reduce consumption and save costs on a "no cure, no pay” basis. Our consultants are also partly EPA-U consultants who can provide practical insights on how to optimize your energy costs reduce with a coherent package of measures and can manage consumption. If you would like more information about Pay as you Save We invite you to contact.